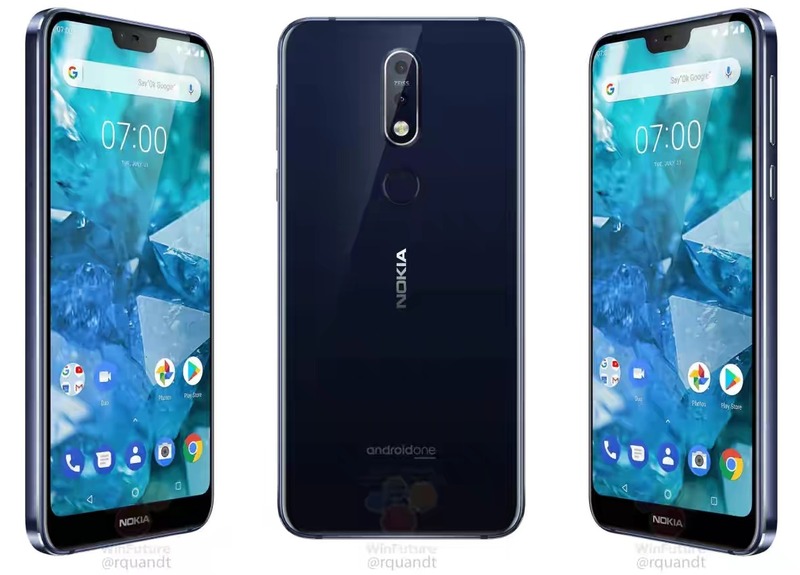 Nokia is currently working on a new midrange smartphone which is the called the Nokia 7.1. This will be the successor to the current Nokia 7 which was launched just about a year ago. A couple of the Nokia 7.1 spec has been leaked online and this gives us a good idea on what to expect from the device. The Nokia 7.1 will sport a 5.84-inch Full HD IPS LCD display with a resolution of 2280 x 1080 pixels and an aspect ratio of 19:9. The device will be powered by Qualcomm's Snapdragon 636 chipset. It will be available in two different memory variants which are the 3/32GB and 4/64GB. In terms of camera, the Nokia 7.1 will sport a dual rear camera setup with a 12 + 5 MP lens with the ability to shoot in 4k. It will also come with a single 8MP front shooter. The phone will run on Android 8 Oreo out of the box and a 3000mAh battery. Official unveiling of the device is expected to take place on the 11th of October while sales will commence on the 22nd of October with a starting price of €350 for the 3/32GB variant and €400 for the 4/64GB variant.